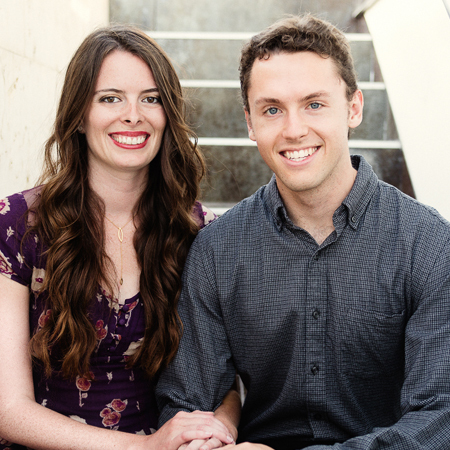 Austin and Emily met in high school and fell in love over a shared love of Shakespeare. Austin went on to study English at Harvard so he could continue to impress Emily with his literary analysis, while Emily studied adolescent psychology at Princeton. They live in Los Angeles, where they’ve combined their interests and decided to write stories of high school, literature and first love. Before our debut, we queried one other novel, which led to an offer of representation. We ended up declining and signed with our current agent on the book that became our debut. It was about eight months from sending our first query with our first book to signing with our agent. We were incredibly lucky to get an offer from Penguin in our first round of submission. We’re Pitch Wars mentors this year, our first year in the program. We feel there are countless writers out there with important, powerful stories to tell, and we want those stories to reach wide audiences. Publishing is a twisty road, and we don’t want writers to spend countless hours figuring it out on their own when we could help navigate it with them. In our own journey, we had important voices encouraging us to keep going while they read our drafts, and we want to be those voices for others. We’re looking for upbeat YA contemporary with unusual hooks and daring, unlikely characters. We like unusual, outspoken protagonists. We’re not the mentors for the trope of the brooding bad boy and shy girl romance, nor for stories largely focused on grief. We like anything with a flair of geeky or literary. We’d love to read something upbeat, something that makes us laugh and fall in love. Our style is flexible and reflective of what a mentee wants. Every writer is different. If you’re the type of writer who likes to bounce ideas back and forth, we’re there for that. If you’re the type who prefers to work alone until you have a finished product, that’s good with us too! Someone willing to work, amenable to changes, who sees this relationship in terms not of one book but of a prospective career. Geek love, the arts in high school (theater! marching band! choir! ), unusual settings, riffs on classic literature, outspoken female leads and sensitive male leads, unconventional family storylines. Family storylines featuring dead parents, and we don’t feel we’re ideal for subjects such as suicide, addiction and abuse. Books in our genre: Fangirl, To All the Boys I’ve Loved Before, Everything, Everything, The Upside of Unrequited, All the Bright Places, What to Say Next, Since You’ve Been Gone. Books outside our genre: Pride and Prejudice, Emma, Middlemarch, Anna Karenina, The Great Gatsby. TV shows: Buffy, Battlestar Galactica, The Office, Game of Thrones (of course).